Home / Entertainment / news / Romance / Fresh Beef - Blackface Accuse 2face Idibia of being Gay - "WAR TRACK"
Fresh Beef - Blackface Accuse 2face Idibia of being Gay - "WAR TRACK"
The beef/blood feud between 2 member of the defunct Platainshun Boiz group has taken a new dimension as the founder of the group, Blackface has just just alleged another member and popular naija music star, 2face is gay. 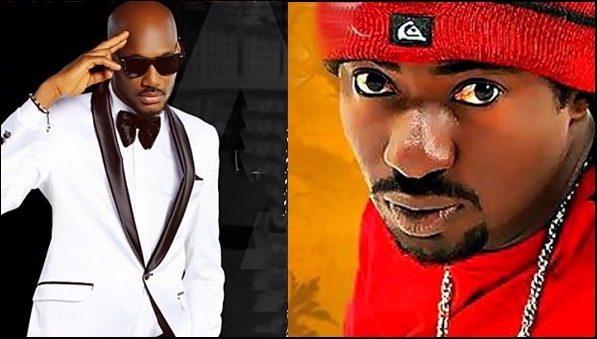 In a newly released diss song titled 'War' targeted at 2face idibia, Blackface rode on his long-standing beef with 2face Idibia calling him out over claims of hypocrisy and theft. The lyrics is indeed something else and people are watching and listening.